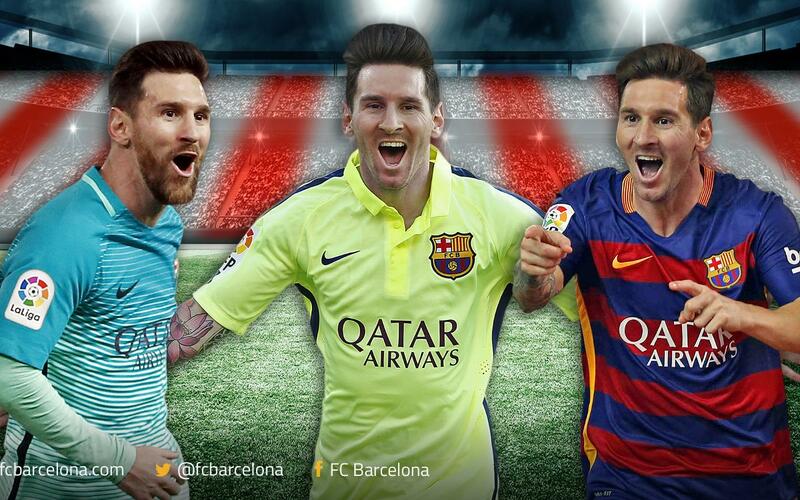 Leo Messi was the difference once again in the Vicente Calderón. The Argentine superstar said goodbye to the stadium which Atlético will leave at the end of the season in the best possible way. The Barça number ‘10’ continues to amaze and this weekend he scored for the third consecutive time in the league at los colchoneros to give Barça all three points in a 2-1 win which allows them to keep pace at the top of the table. Every time Luis Enrique has gone to the Calderón in the league, he has emerged victorious thanks in no small part to the efforts of Leo Messi. The Argentine’s goal in the 1-0 win in 2015 handed Barça their 23rd league championship. Last season a Messi on his way back from injury helped the blaugranes come from behind to win 2-1 in the last few minutes of a pulsating contest. This season Messi remained true to form, grabbing three vital points with the winner in a 2-1 victory just three minutes from time. Without any doubt, the Vicente Calderón is one of Leo Messi’s favourite hunting grounds. In total, he has scored 13 goals at Atlético’s current home, more than anywhere else outside Camp Nou. Messi’s goal on Sunday in the league was not his first at the stadium this season, the Argentine having scored in the 2-1 win in Madrid against Atlético in the first leg of the Copa del Rey semi-final. Messi will still have the chance to make one final last appearance at the Calderón where Barça face Alavés in the Copa del Rey final on 27 May.